This is a guest post from local OpenStreetMap contributor, Dave Fox. As we noted in our Getting Started guide, Wheelmap doesn’t show every possible location on the map. It uses a custom list of 300 different types of location drawn from OpenStreetMap. 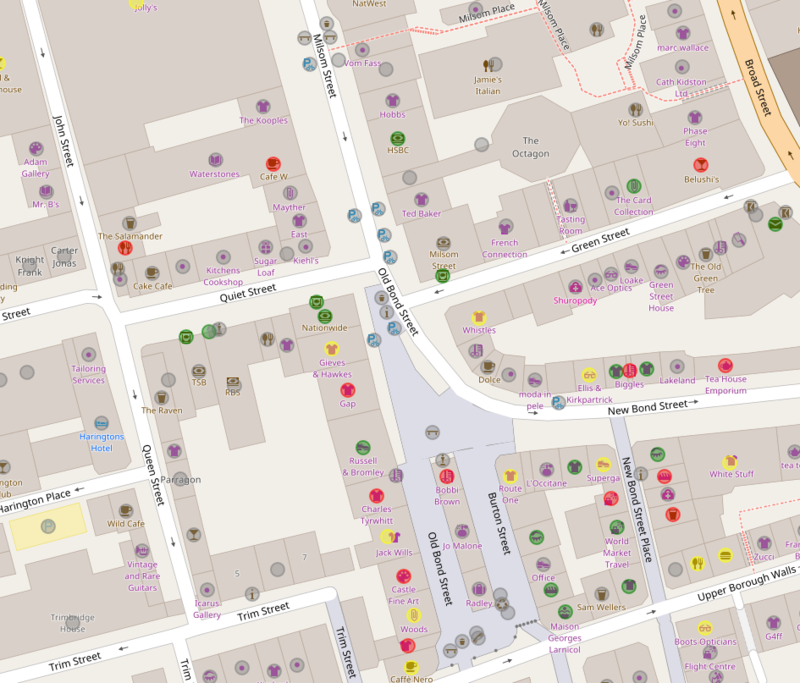 In this post, Dave explains how to tag and view accessibility information directly on OpenStreetMap. It’s a useful reference for our more experienced contributors. As noted Wheelmap doesn’t automatically show information on all locations in your area. However, there is an alternative way to include wheelchair data by adding it directly to OpenStreetMap. Wheelmap writes all of its ratings and comments directly to OpenStreetMap, reading data back into a local copy to draw their own map. This means all of the data can be edited directly on OpenStreetMap using their tools. To edit using OSM you’ll need to register. If you’ve already registered with Wheelmap then you’ll already have a login. If not, it’s the standard process of supplying an email address/username/password & then replying to the confirmation email to register. Or alternatively you use one of the many third party login options. I recommend you follow the interactive walk-through to learn the basics of editing. Click on the ‘Help’ to the right side of the screen. When you’re ready to edit, zoom in so the aerial image of the establishment you wish to add or update is filling the window. To add a completely new establishment, use the Point or Area options as described in the walk-through. To update an existing location simply click on it. From the left side menu there’s an ‘All Tags’ list. Click the ‘+’ button just below it to add a new tag. Start typing ‘wheel…’ the wheelchair option will be selected. Then click on the small down arrow in the box to the right. A selection of predefined values will be listed. Choose the one appropriate to the place you’re updating. Add any other relevant tags such as ‘name’, ‘website’ etc. Click ‘Save’ (often) giving a brief description of what you’ve done, e.g. ‘added wheelchair tags to shops’. The amendments are then saved back to the OSM database for rendering. Depending on the speed of the (temperamental) rendering server, any additions should be viewable on the map within a few hours. When adding a new location, using either a Point or Area is perfectly acceptable. Points are obviously quicker & easier. Areas add extra accuracy & detail to OSM. Use whichever you prefer. The OpenStreetMap Overpass API allows you to query the OSM database and generate custom maps. You can also use MapCSS to define custom styles for the results. Following this link will take you to the Overpass editor with a prefilled query. Click ‘Run’ and you can see locations in Bath styled according to their accessibility.